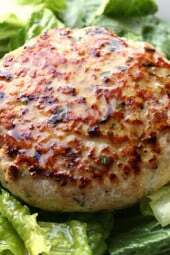 These swordfish burgers are easy to make and are ready in less than 20 minutes. A great way to eat fish if you are not a big fish lover. 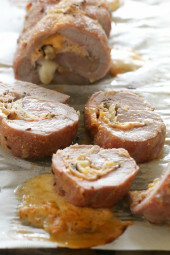 You can try making them with tuna or salmon or with different herbs for a variety of flavors. Perfect for lunch or dinner and super healthy. Cut fish into large chunks, and put about 1/4 of the fish into a food processor along with garlic and shallots. Pulse until it becomes almost pasty. Place into a medium bowl. Place the remaining fish into food processor and pulse on and off until chopped. Combine with the rest of the fish in the bowl and add chives, lemon zest, breadcrumbs, salt and pepper. In a large non-stick skillet, spray a little oil and heat on medium-high. Add fish and cook about 4 minutes on each side. To BBQ: Grill 4-6 inches above the fire on a lightly oiled grill rack. Grill on medium flame, about 4 minutes each side. Whisk vinaigrette ingredients in a small bowl. 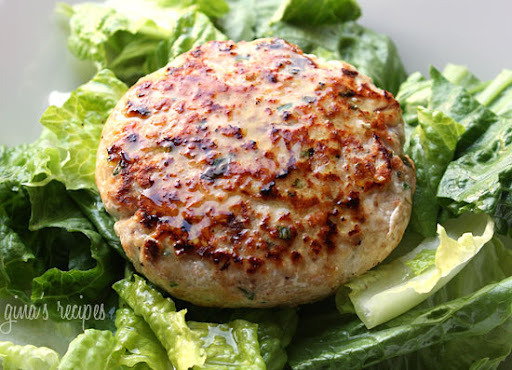 Serve fish burgers over a bed of greens and drizzle with lemon vinaigrette. Yum! Thank you! I made this with canned tuna and at first my hubby wrinkled his nose at it. He then, on his own, went up for 2nds and even 3rds! So much for keeping leftovers for my own lunch! And upon completing the post I see salmon and tuna already mentioned as alternatives. Still, the Mercury levels in fish thanks to gold mining and other chemical processes poluting rain water is still worth mentioning as a reason to avoid the large fish. What no posts about Mercury poisoning yet? Or did I just miss them when I skimmed over all the responses? The larger fish like shark and swordfish tend to lots of the smaller fish which eat the plankton that absorb Mercury falling from the sky in rain and then convert it to something organically soluble and able to be absorbed. I know there's danger in everything… but years of gold mining and other Mercury releasing processes have left our rain filled with sometimes hundreds of parts per million Mercury. Hey Gina! I love your blog! I made these tonight with Salmon and they were spectacular, even my super picky husband loved them. Question though, where do you come up with your nutrition counts? 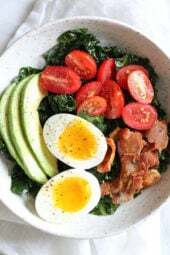 I've recently started my own blog with a couple re-made recipes and my own and would love to be able to add this. Any advice/help would be greatly appreciated! Thanks in advance! Can I use tilapia instead? Love this recipe…One question…When you say breadcrumbs..do you mean fresh or the dry, shakeable sort?..I have swordfish in the freezer I would love to use for these…My family is not "fish-keen"…and I know this would please their sandwich cravings and my healthy-fish cravings simultaneously! I cooked these the other night. This was the first time Ive tasted swordfish. Wasnt a big fan. I didnt hate it or anything but it wasnt a favorite. It was fun preparing it though and its a very dense burger so you will not leave the table hungry! This is a good one for the summer! Made this for dinner tonight and it was perfectly satisfying and absolutely delicious. I'm probably the only person in my family that actually loves fish and seafood, so I knew it would be something I'd enjoy. Thanks for sharing! This was such a huge success! Gina, I am having so much fun with your recipes on my blog (always linking back to you of course). Such healthy food! Your directions are always easy to follow for a beginner like me, and great to link to for other beginners. Thanks! Not yet, protein is usually the same so my guess is it has not changed. Is this updated for WW Points+? Most recipes I make based on the old system work out to be about 2 points more, so these would be about 7… ??? I personally like this with a big salad or vegetables! Gina – Arnold Select makes Whole Wheat / Multi grain Sandwich Thins at 100 calories each. Thomas's also makes "Bagel Thins" at 100 calories each. I have them for breakfast! SO GOOD!! It's something I started adding later after several requests. My goal is to go back and add it to all my recipes. I'll do this one next. I'm not sure if they would stay together. Maybe you could make fish croquettes by mixing fish and parsley together, then dip in egg wash and breadcrumbs and place on baking sheet. Spray a little oil and bake until golden. Would this turn out ok with left over fish from the night before? I made haddock last night, and this recipe looks wonderful. Just not sure if that's a good idea! Gosh…just found this one! Although I love, love, love swordfish, don't eat it that often d/t the mercury content…but I will have to try this one! Oroweat or Arnold depending on where you live make the sandwich thins… they are great! wow…this looks succulent! Excellent prep and photograph!!! @IblastBIGrocks Who makes those sandwich thins? Made these this weekend and absolutely LOVED them. They're great on a bed of baby lettuce but I also toasted one of those whole wheat sandwich thins (1 point!) and put it on there with onion, tomato, lettuce, and dijon mustard. It was awesome. Love the site!! keep the great recipes coming!! @Michelle, Salmon or Tuna are also great! That sounds good… except for the swordfish. I can't wait to try this with some other fish but swordfish is still incredibly hard on the ocean environment. Go for something more sustainable that doesn't require longline fishing. =) ooooh…. farmers market tomorrow… i think I'll pick up some fresh fish to try this! That swordfish burger looks great! I love the idea of making fish into a burger. This looks great! 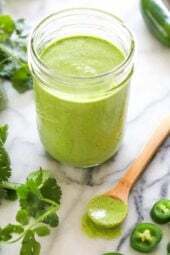 I make it with lime too, it’s so good! You can even slice some red onion real thin and let it sit in the vinaigrette, takes the bite out of the onion. We buy frozen salmon patties from Costco. Your lemon vinaigrette will be perfect for those. Thanks! This looks amazing, I just love fish burgers, they’re so much lighter than meat! Thanks for sharing! Ummm! I may try this one with cod (another sturdy white fish) b/c I am not a HUGE seafood eater. This sounds really good, thanks for posting! This looks wonderful, I don’t think I’ve ever had swordfish, but I really love seafood, so I have a feeling I’d really like it.